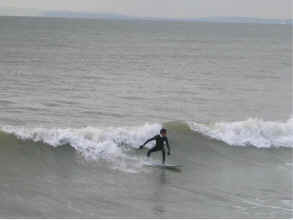 South Coast surf gallery 2004 east wittering. 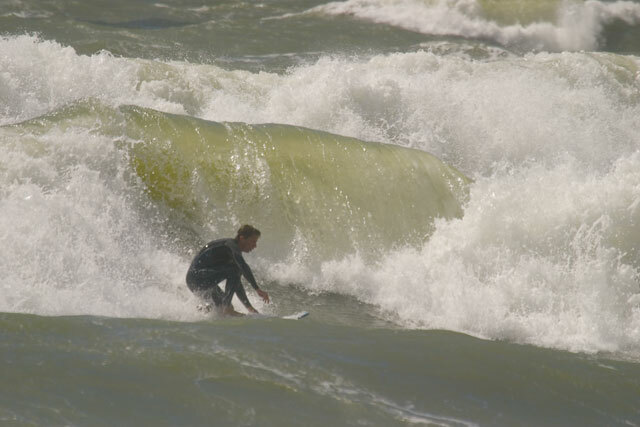 South Coast Surf gallery 2004. I went down just to check anyway, and we were pleasantly surprised! The quality of these pics is not great as they are still frames from my video camera, I only filmed about 30 seconds as I couldn't wait to get in! 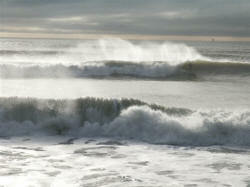 Pic 3 is a Saturday morning in January, not a breathe of wind and a nice small wave. 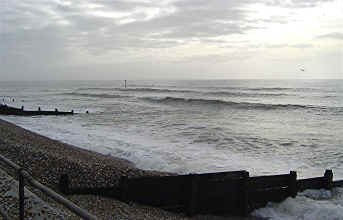 These pics were taken and sent in by Nick. 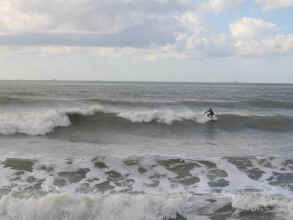 2-3ft at Bracklesham not a bad day, the surfer is Andy making the most of it at high tide... Pics taken by Lucy.